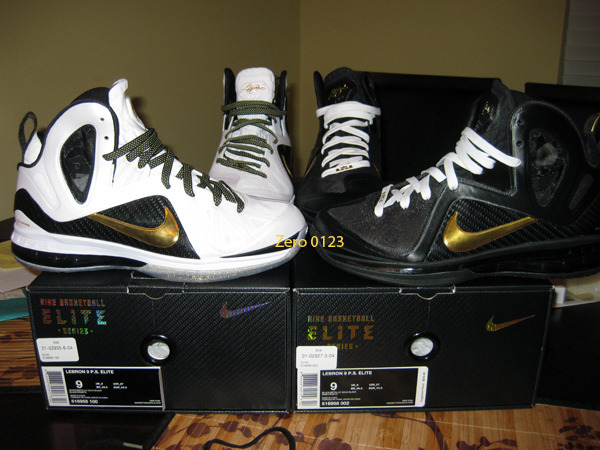 Both Home and Away colorways of the Nike LeBron 9 P.S. Elite share the same Gold theme. 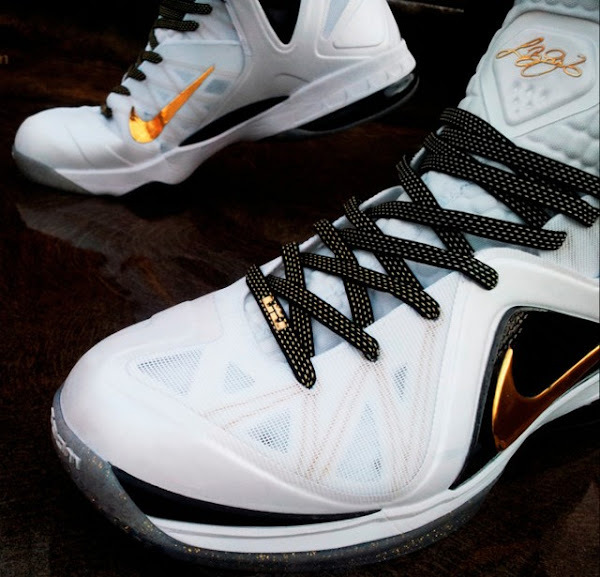 I know for a fact that Homes come with 2 pairs of laces – All White and White/Gold with Kevlar (default) – but haven’t seen Aways with any alternate setup, apart from the default, which is Black/Gold with Kevlar. 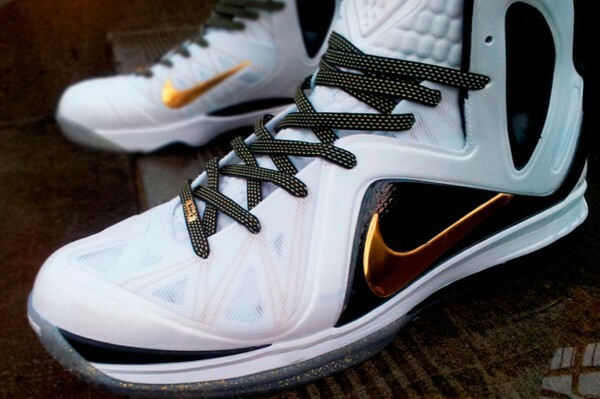 This is a good opportunity to see how the Home colorway would look like with Black and Gold laces from the Aways. See the photos below to find out. Of course it doesn’t look so good the other way around.